Prepare for some Omega Factor and a little Ham-Ham Heartbreak. With so many video games coming from Japan (decades worth), it's no surprise to see a glut of titles inspired by anime and manga. Franchises like Bleach, Yu-Gi-Oh! and Naruto may not be as popular as they are in the land of the rising sun, but a devoted Western following eagerly snatches up new entries based on the popular comics and TV shows. Unfortunately, most of the games fall shot of expectations. Case in point, Dragon Ball, one of the biggest manga series that has yet to feature a game with an average review score of 81 percent and higher on Gamerankings. That said, there exist a small number of gems worth your time, especially on handhelds. On that note, we present the best portable anime/manga games of all time. When Sega needed a portable Astro Boy video game, it turned to developers Treasure and Hitmaker, creators of Gunstar Heroes and Crazy Taxi, respectively. 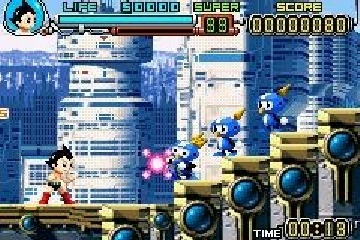 The result, Astro Boy: Omega Factor, is side-scrolling brilliance, a sharp looking and highly enjoyable beat-em-up that casts players as the beloved robot boy, charged with stopping a device called the Death Mask from killing fellow bots. With GBA titles becoming scarce, we strongly suggest buying this game ASAP. 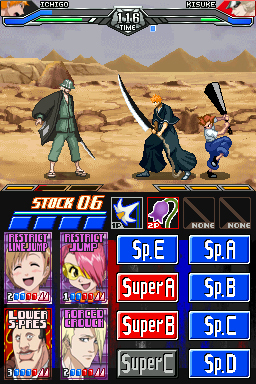 After Sega acquired the rights to publish games based on the Bleach franchise, it once again turned to Treasure to handle the portable side of things, and the talented team delivered with The Blade of Fate, a wonderful 2D brawler starring 26 playable characters from the series, like Ichigo Kurosaki and Momo Hinamori. 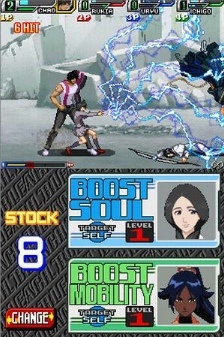 The frantic two to four person battles (and online play) set it apart from other handheld fighters. That is, at least until Dark Souls came along. Treasure upped the ante with a whopping 44 playable characters, new moves for the older ones and a streamlined online experience. 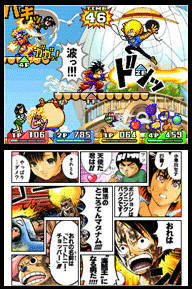 If you think Super Smash Bros. Brawl is the ultimate crossover fighting game, then you haven't played Jump Super Stars. 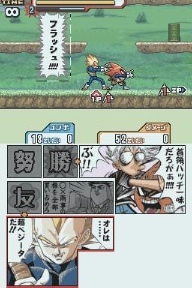 The original features two to four person bouts, as well as characters pulled from a plethora of different series, like Bleach, Dragon Ball, JoJo's Bizarre Adventure, Naruto and Yu-Gi-Oh! The sequel, meanwhile, has even more characters, an upgrade system, Ultimate Actions and new environments. Of course, due to licensing issues, neither game was released outside Japan. Naturally, you're free to import them. Believe it or not, Origins is the second highest rated Dragon Ball game in the western world, according to Gamerankings. 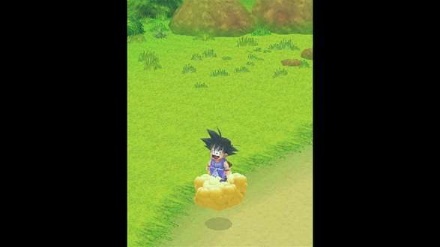 Whereas a significant chunk of DBZ titles are 2D and 3D fighters, this one is an adventure game starring Son Goku, who sets off to find seven mythical Dragon Balls. The majority of the experience involves solving puzzles, defeating enemies and gathering different items. Players can also collect figures and trade them with others via Wi-Fi. Hamtaro may not be the coolest anime hero, but he's certainly one of the cutest. Seriously, we'd pinch those cheeks all day. 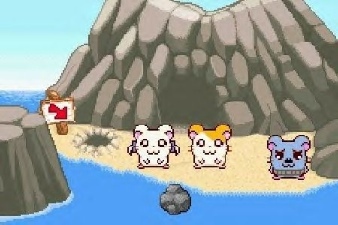 Ham-Ham Heartbreak, meanwhile, is a fun adventure game that sends Hamtaro and Bijou on a quest to stop a common foe named Spat and fill the Ham-Ham Dictionary with Ham-Chats. You can also find gems and other valuable items. It's definitely a great title for kids, but even some adults may enjoy it.